The site of Ayia Irini on the island of Kea. Credit: Department of Classics, University of Cincinnati. 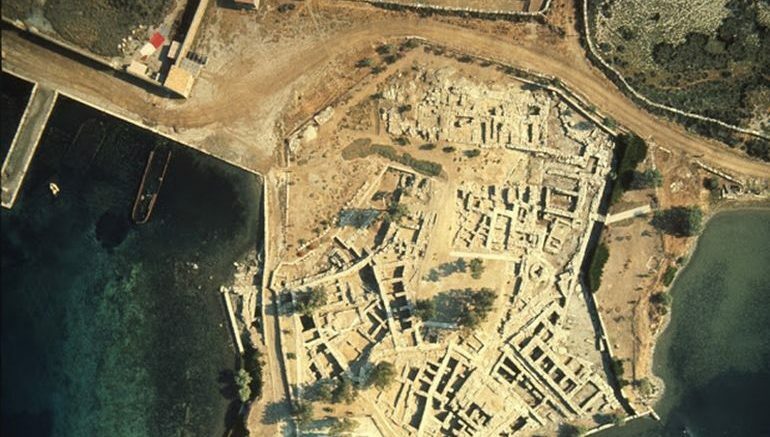 The Greek island of Kea (or Keos, as known in antiquity) does boast its ancient legacy in the form of the Bronze settlement Ayia Irini that corresponded to the Minoan/Mycenaean period, and the habitation pattern was later continued by the Greeks and Romans. But this time around, researchers (from University of Cambridge) have delved deeper into the island’s fabric of history, and part of their evidence harks back to the Neolithic period, circa 4th millennium BC. The scope of evidence in question here unpretentiously pertains to feces salvaged from prehistoric burial sites on the island. And quite intriguingly, these remnants pointed to the parasitic worms that were almost described 2,500 years ago in the writings of Hippocrates – the Greek physician of the Classical Age who is often referred to as the ‘Father of Medicine’. The decomposed matter was recovered from the pelvic bones of skeletons that were dated from variant time periods, ranging from the aforementioned Neolithic era, the Bronze Age (circa 2nd millennium BC) to even the Roman periods (circa 146 BC – 330 AD). The subsequent analysis of the specimens revealed the from two species of parasitic worm (helminths) – whipworm (Trichuris trichiura) and roundworm (Ascaris lumbricoides). The former was found from the Neolithic burials, while the latter was found from the Bronze Age settlement. Now, in terms of the history of medicine, Hippocrates was known for his formulation of the humoral theory. The ancient concept, that was actually followed by many European medicinal practitioners till 17th century AD, suggested how the state of healthiness was directly related to the balance of four ‘humors’ – black bile, yellow bile, blood, and phlegm. To that end, Hippocrates and his students also produced written works on different forms of diseases, their symptoms, and how they could have been caused by various intestinal worms. Hippocratic texts mentioned these parasitic organisms as Helmins strongyle, Ascaris, and Helmins plateia. The Helmins strongyle worm in the ancient Greek texts is likely to have referred to roundworm, as found at Kea. The Ascaris worm described in the ancient medical texts may well have referred to two parasites, pinworm and whipworm, with the latter being found at Kea. Until now we only had estimates from historians as to what kinds of parasites were described in the ancient Greek medical texts. Our research confirms some aspects of what the historians thought, but also adds new information that the historians did not expect, such as that whipworm was present. 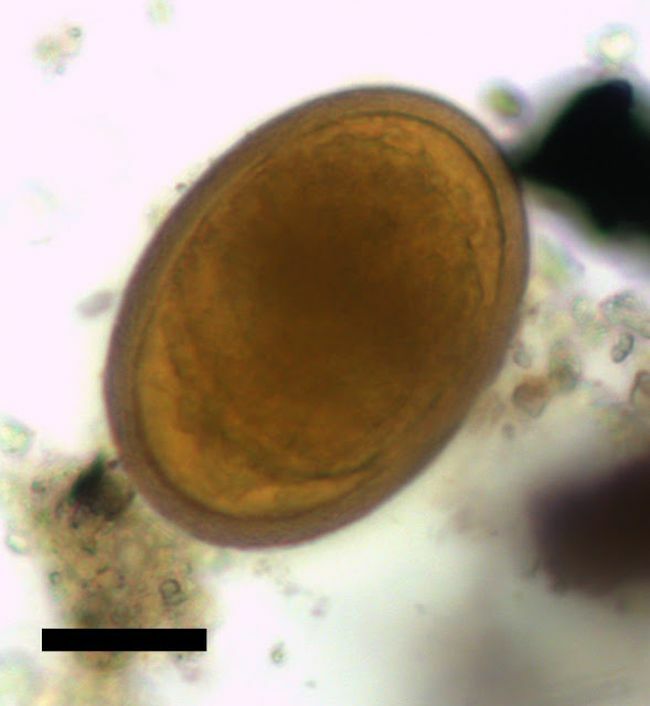 Finding the eggs of intestinal parasites as early as the Neolithic period in Greece is a key advance in our field. 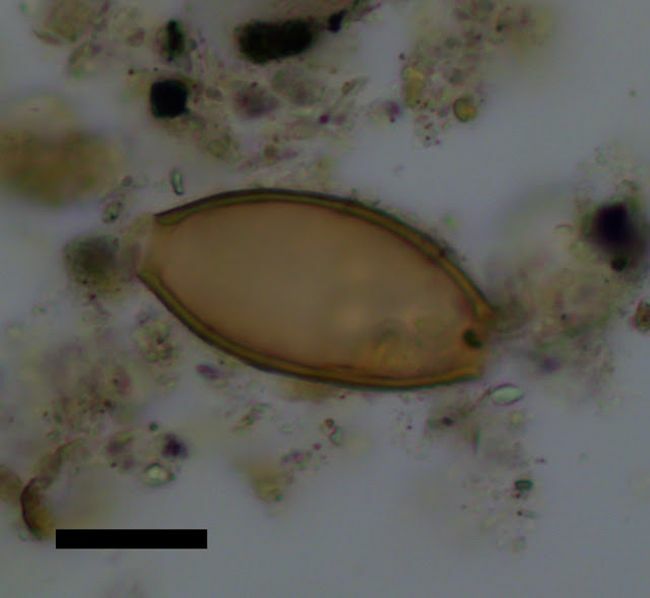 This provides the earliest evidence for parasitic worms in ancient Greece. The study was originally published in the online Journal of Archaeological Science: Reports.